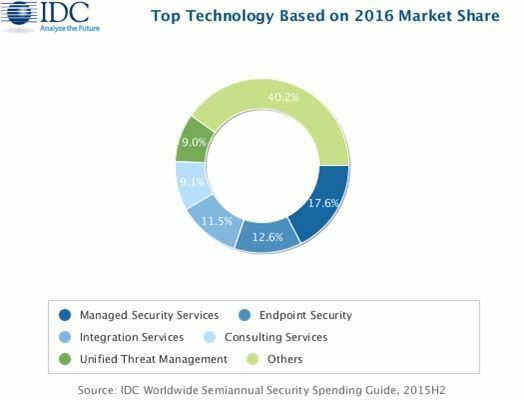 FRAMINGHAM, Mass., October 12, 2016 – The first Worldwide Semiannual Security Spending Guide from International Data Corporation (IDC) forecasts worldwide revenues for security-related hardware, software, and services will grow from $73.7 billion in 2016 to $101.6 billion in 2020. This represents a compound annual growth rate (CAGR) of 8.3%, more than twice the rate of overall IT spending growth, over the five-year forecast period. The new spending guide expands on IDC's previous security forecasts by offering greater detail on spending by geography, industry, and technology.